On July 10, 2017, I made the move from rapidly-growing Honestbee, over to HOOQ—also a rapidly-growing startup backed by media giants Singtel, Warner, and Sony. Knowing that the age of cord-cutting is upon us, and with players like Netflix dominating the space, I found the prospect of working in the video content industry appealing since I’ve never had the chance to do so in my career. One of the details I picked up when I first joined HOOQ was everyone’s knack for using fancy names and acronyms every chance they could. Industry-standard terms like OTT, SVOD, TVOD to space-themed project names Nova, Aurora, and Black Hole were amusing as much as they were unknown to me. It took me a while to get used to all the nomenclature. However, one name that our Head of Product came up with for a particular initiative was something I found rather interesting—and it would be a term I would be using indiscriminately for the next year . . . Day Zero. HOOQ worked a little differently in terms of how it acquired new customers. As a company backed by Singtel, its dominant acquisition tool is giving special incentives for users on partner telcos when they sign up for HOOQ. Since these users were already a large share of a particular market (Telkomsel in Indonesia, Globe in Philippines), HOOQ set its sights on activating this cohort. I want to emphasise that HOOQ did not forego organic growth, but that’s a case study for another day. Day Zero is essentially an initiative to activate the said cohort of users. What is their first interaction with HOOQ like? How much can we give to them without signing up? How do we let the right type of users understand the value of signing up? AARRR you ready for pirate metrics? We found pirate metrics to be a great way in categorising our success indicators. The Day Zero initiative sat well within Acquisition and Activation. I won't go into specific numbers for confidentiality reasons but below is a visual of our predicament. As someone who was totally new to the company, the Google Design Sprint framework was a perfect opportunity for me to get to know members from other departments and the work they do. It was also the best way to collectively understand the Day Zero experience through the eyes of business, marketing, engineering, and design stakeholders. Over the course of this case study, I’ll be going through some of the highlights of the Design Sprint as well as some of the design solution details. The Design Sprint map was the collective effort of the team trying to understand the steps a user needs to go through before they are considered to be an activated user. Users in emerging markets have limited data—they would most likely not use it to download a 30mb app. Especially one they know nothing about. 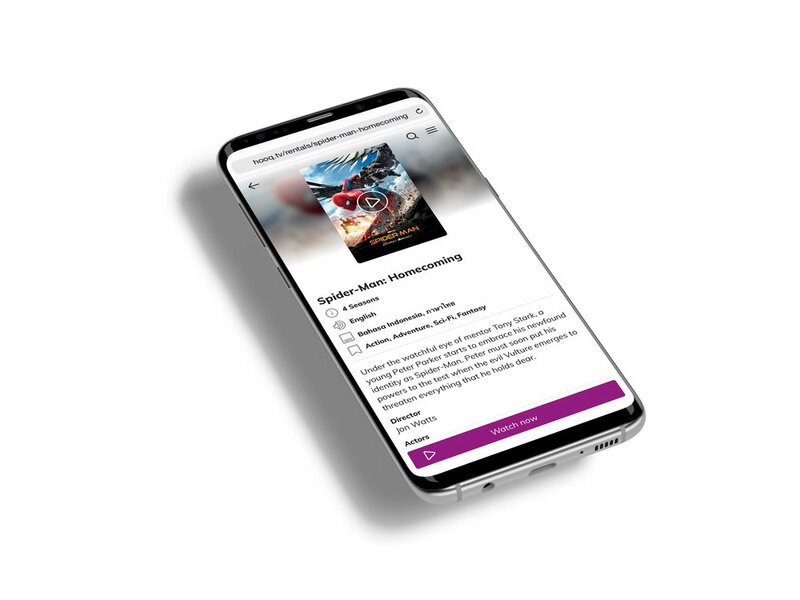 We couldn’t track at which point users would drop-off when they receive an SMS to activate a free HOOQ trial, download the app, sign up, browse the catalog, and start playing. The main events happened at different platforms. Users couldn’t get a taste of the catalog until they signed up for an account. Similar case as to not being able to see the menu before deciding on a restaurant. We had no mobile website to begin with and it was clearly a solution worth exploring for the benefits it could potentially bring with regards to our Activation metric. "The web has been, is, and always will be the world's most popular mobile operating system. It was around long before iOS and Android existed and it will certainly be around long after it. The next wave of software companies (and software services) need to focus beyond native iOS or Android apps to consider a more responsive and adaptive delivery of their service. The challenge here is to make PWA's render and work well in mobile browsers. What this brings is the opportunity for effective response or adaptive design." Giving users an idea of the "menu" before deciding to sign up was one of the hypotheses we wanted to test. An open catalog for users to freely explore was designed into the PWA. When I first started, the app's main colours were light-themed with accents of the brand colour. I wasn't a fan of it personally and wanted to dig into proper usage of light and dark themes on applications. Why does Netflix use a dark theme? Why did YouTube introduce a dark theme to their already existing light theme? Our product was clearly something that displayed heavy visuals, so doing night mode was something we had to explore. At the time that I've completed this case study, the team has made numerous improvements like adding video playback capabilities. The marketing team has slowly integrated it into their campaigns but there wasn't an aggressive marketing push yet since the product is still missing some of the functionality that is vital in the browsing experience—like search. Also, since the team has effectively instrumented tracking on Google Analytics, we have a better view on screens or events that users tend to drop-off from. Definitely an improvement from the other activation funnel in which we were working in the dark. With all of that coming soon, keep an eye out for m.hooq.tv as I update this post once we've hit new milestones.